Swindle&apos;s Peace, Love & Music album has to be pretty high up on everyone&apos;s end of year lists, not just as a great album but as a "moment" in music. It wasn&apos;t just a collection of tracks, it was a labour of love that saw the DJ, producer and multi-instrumentalist travel the globe to partner up with some of the most inspirational musicians the planet has to offer. A journey from start to finish, our first listen was the masterful and anthemic "London To LA", and now we have our first listen of the next single, "Mad Ting" with vocals from JME. 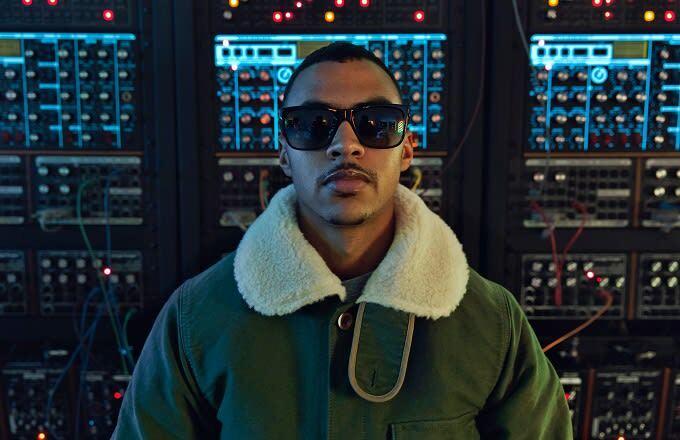 As with "London To LA" (which featured Asher Rise, another unforgettable vocal performance), Swindle&apos;s created another club banger with a vast amount of live instrumentation. Sadly, we still have to wait a whole seven more days for the album&apos;s release, but you can pre-order it now.